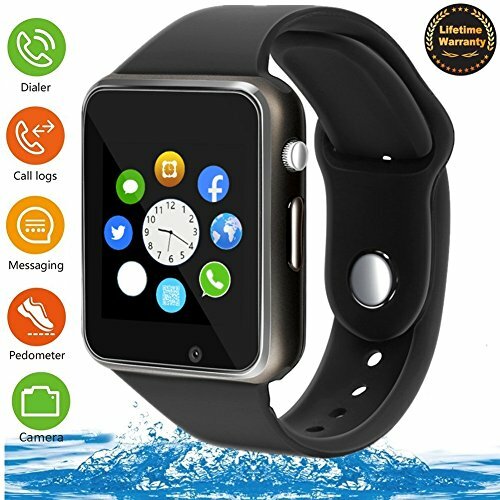 Smart Watch - 321OU Touch Screen Bluetooth Smart Wrist Watch Smartwatch Phone Fitness Tracker with SIM SD Card Slot Camera Pedometer for iPhone IOS Samsung LG Android for Women Men Kids (Black) by 321OU at Kode Fu Guru. MPN: 321OU1869B. Hurry! Limited time offer. Offer valid only while supplies last. 321OU is a brand, which is devoted to producing goods to developing potentials. 321OU Bluetooth Smart Watch Lead a Better Healthier Happier Life. If you have any questions about this product by 321OU, contact us by completing and submitting the form below. If you are looking for a specif part number, please include it with your message.